Whenever “clichés” like development, economic progress and growth rate are used too much, it can be safely assumed that there is something terribly amiss. In such times, the most important social issues are brushed under the carpet and the day’s vegetable prices become hot topic for discussion. Petty politics is often played around such trivia. Today, three-fourths of the world’s wealth is concentrated in a few hands. But what are the implications of such a concentration? This crucial question is never examined or explored. The 21st century has witnessed economic development with this yawning inequality (concentration of wealth in a few hands) as its necessary condition. Who knows, but maybe one day it can be proclaimed as the sufficient condition as well. In today’s world, rich people hold the talisman of resource control. In the modern world, whoever controls the resources, controls the fate of the Earth and its inhabitants also. In the name of development, forests and mountains are being sacrificed at the altar of growth. Illnesses have become good omen for medical companies and doctors as they give them the opportunity to flourish. Inequitable and unjust development that started in the latter half of the 20th century is at its peak at present. People are deprived of the freedom to question the policies and processes of capital augmentation, industrialisation, employment generation, skill development, urbanisation, health and education (or the lack of it), safety and wellbeing of our children, land acquisition and commodification of water. We are not called to ride on the so-called bullet train of development, wherein we can at least try to make the government accountable. This mounting inequality will inevitably push us into the abyss of colonialism again, this time more dangerous and deadly. Let us grapple with some facts. Credit Suisse’s Global Wealth Databook 2014 warns that economic development is fast pushing the world to the brink of inequality. In 2000, $428 billion (36.8 per cent) of the total Indian National Wealth was concentrated in the hands of only 1 per cent of individuals (57.11 lakh). On this basis, rich Indians enjoyed $74,935 per capita of wealth. On the other extreme were the remaining 99 per cent of Indians with only $1,300 per capita of wealth. The richest 10 per cent of adult Indians (5.7 crore) have grabbed control over 66 per cent of wealth. They are enjoying per capita wealth amounting to $13,419. The remaining 90 per cent of the population had per capita wealth worth $772. In 2000, the richest top 1 per cent of people enjoyed 58 times the wealth of the rest of the population. In 2014, this gap between the rich and the poor has widened to 95 times. Is this occurrence of inequality just confined to India alone? The answer is no. Nevertheless, there are variations in other cases. In 2000, the richest 1 per cent of Americans was 62 times wealthy as compared to the remaining 99 per cent. In Brazil, the “wealth gap” was 62 times, in Egypt it was 49 and in Switzerland it stood at 53. In China and Japan, the gap was comparatively low (23 and 25 respectively). This shows the discriminatory nature of capital which comes to the fore through power. In 2000, the per capita wealth of an Indian was $2,036, in Brazil it was $7,887 and in China it was $5,672. An average Japanese possessed $1.92 lakh, in Sweden the figure was $1.26 lakh, in Switzerland it was $2.33 lakh and in US it was $2.1 lakh. In the 21st century, economic liberalisation and globalisation have been trumpeted across the whole world as a sure cure for poverty and inequality in the past two-and-a-half decades. The underlying presumption behind such a thought is that economic development is possible only through maximum exploitation of resources. What happened to human values in this entire pursuit of development is a separate discussion altogether. Presently, our focus is on the vacuity of the rationale of the much-flaunted economic policies of liberalisation and globalisation. The rationale was this is the only way to wipe out the scourge of inequality from the face of the Earth. The development model that India is aspiring to ape is vacuous in its foundation. The US is exploiting our very greed of earning fast buck. Powerful nations are able to exploit our natural and human resources to the hilt and poor nations like us let them to do so under the illusion that it increases the value of our resources. The bitter truth is during the last decade, our national wealth has increased by $2,441 billion while the same for US has increased by $40,767. Actually, India is being intoxicated by this grand fabrication of the “world’s fastest growing economy”. We need to reckon that the reasons of wealthy people becoming wealthier are far too many (more opportunities, better valuations of their wealth, stringent and stricter control on resources, wielding of influence on polity and policies). On the other hand, the wealth of the poor is growing at a much slower pace, as they remain rooted in the defensive mode. As our growth-loving state regimes are fast relinquishing their constitutional duty of a welfare state, it is imminent that the yawning economic disparity is going to widen further and our 90 per cent people will be pushed further to the brink of poverty. A simple question is put to policy-makers, who are busy in building highways for economic growth and arguing that it will bring about the dream of social development. But the questions to be asked are who is benefitting from this growth in reality? Are they really unaware of this impact of growth? Will they make an honest attempt of giving information and figures on the classification of wealth owners from the lowest segment to the highest ones? Inequality in India is growing by the day. In 2000, India’s 37 per cent of wealth was concentrated in the hands of 1 per cent Indian adults. By 2005, it went up to 43 per cent, by 2010 it rose to 48.6 per cent and by 2014 it touched 49 per cent. In the past 14 years, the gap between the richest minority of 1 per cent and the poorest majority of 99 per cent has become wider—from 58 times in 2000 to 75 times in 2005, to 94 times in 2010 and 95 times in 2014. 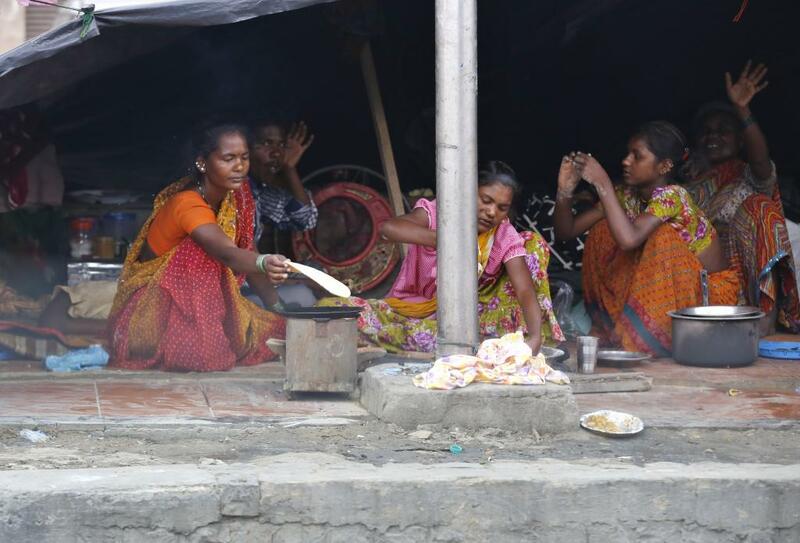 Ten per cent of poorest Indians possess just 0.2 per cent of national wealth. The gap between wealthiest 1 per cent Indians and the poorest 10 per cent was 1,840 times in 2000. It became 2,150 times in 2005, 2,430 times in 2010 and 2,450 in 2014. Around 15.5 per cent of the world’s adults live in India while the country’s share in the global wealth is a meagre 1 per cent. kindly, let me know the source of information and your data used for this research. Also, please tell me the definition of poor who hold 0.2 percent wealth of the nation when country is still having people who die out of starvation.